Presentation given at the 2014 World Congress of Environmental and Resource Economics in Istanbul on 1st July. Neuhoff, K., Acworth, W., Dechezleprêtre, A., Dröge, S., Sartor, O., Sato, M., Schleicher, S., and Schopp, A. 2014. Climate Strategies. Berlin, Germany and London, UK. Prepared for the Green Economy Policy Commission (GEPC), August 2013. Do higher energy prices affect international trade? Panel debate | Environmental policies and competitiveness – how to get the most out of the green transition? 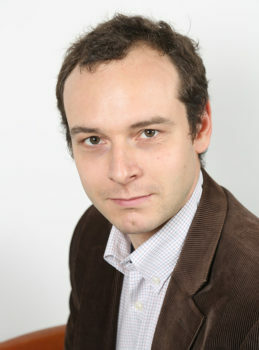 Antoine Dechezleprêtre, Senior Research Fellow at the Grantham Research Institute, will be the speaker for this seminar.